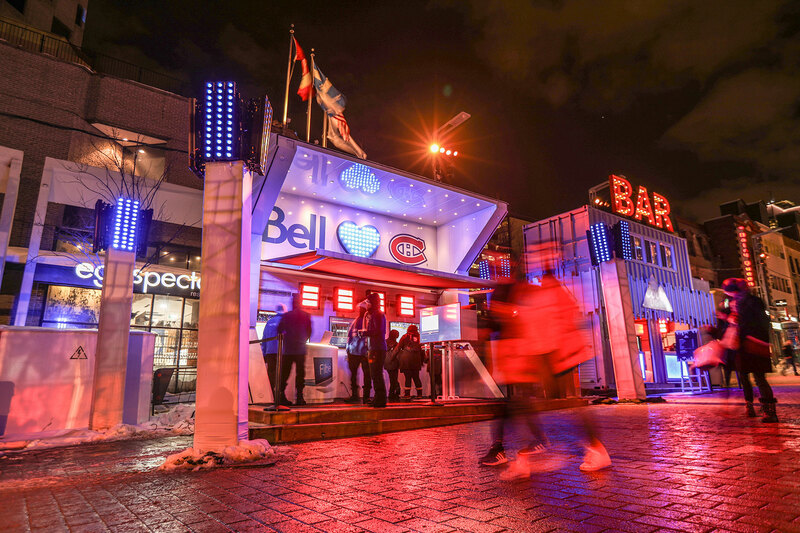 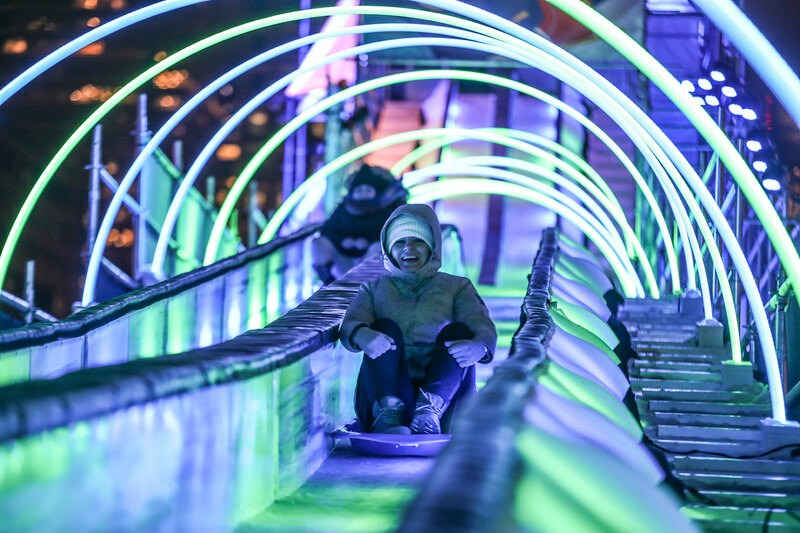 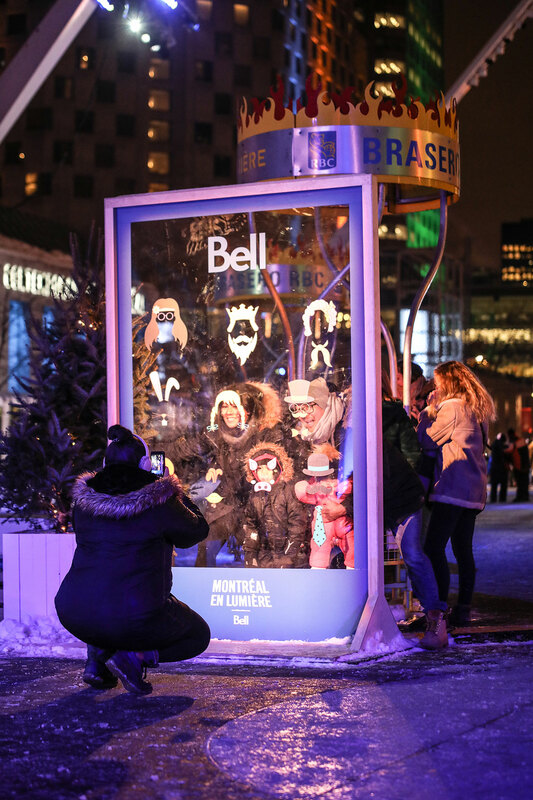 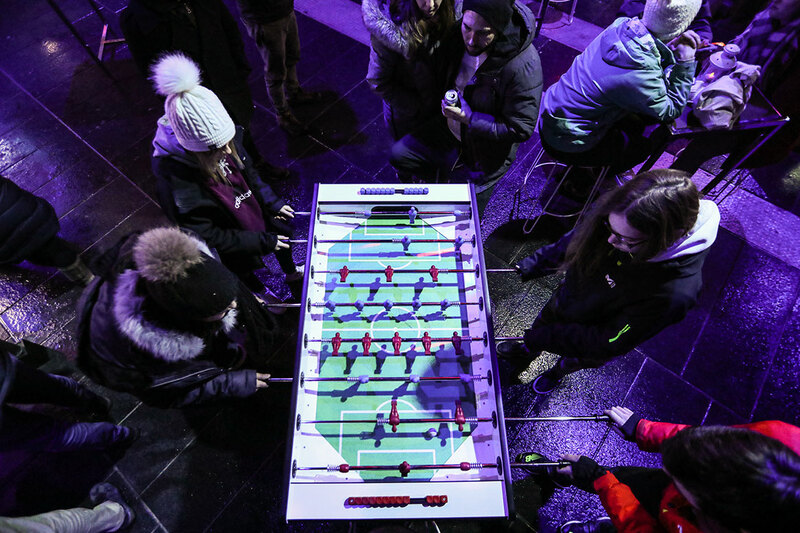 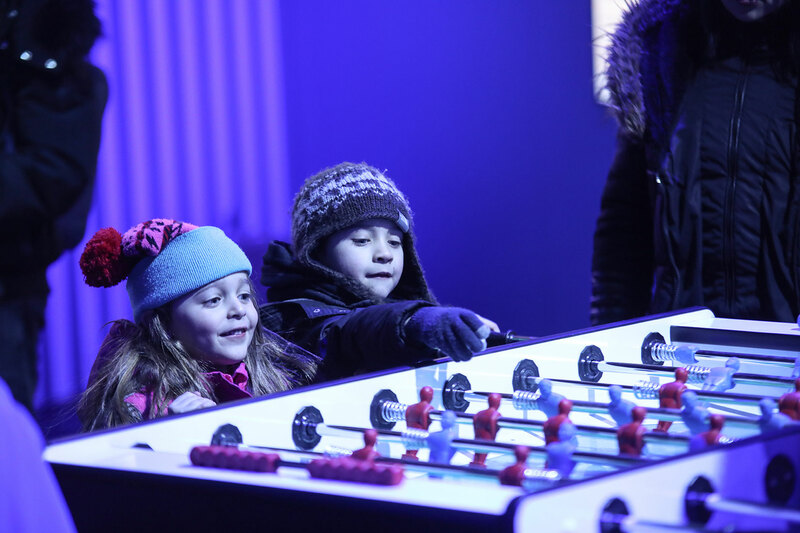 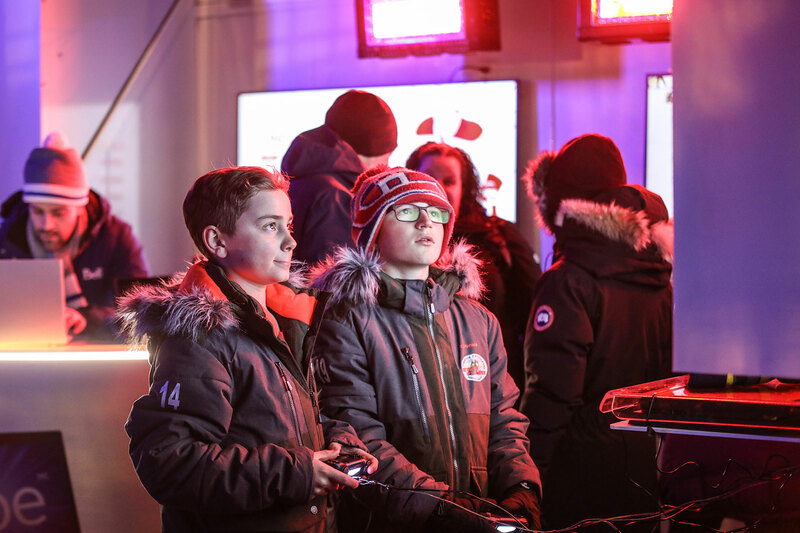 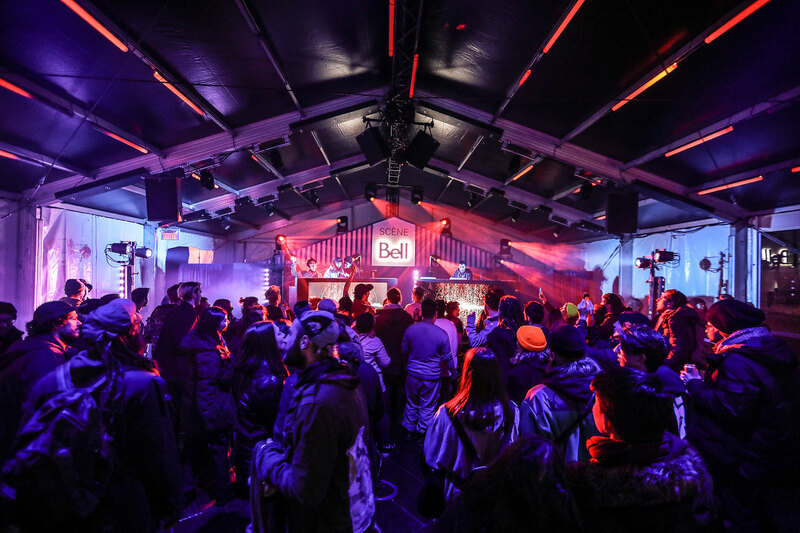 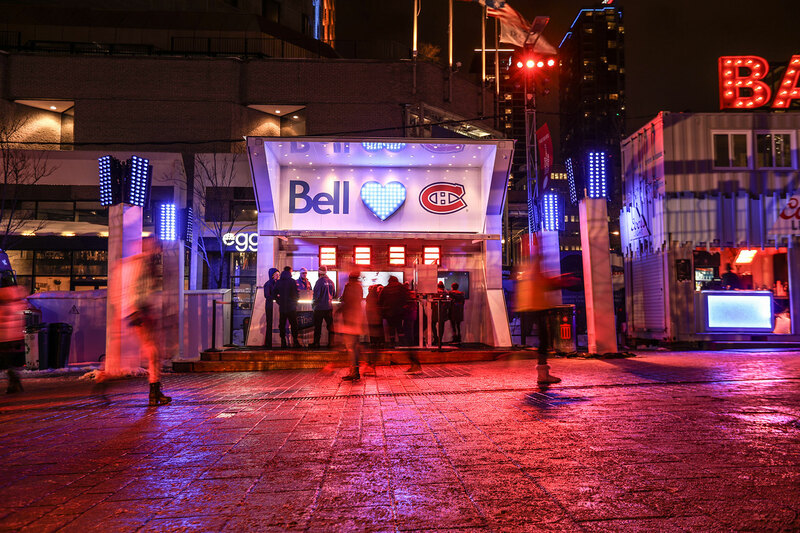 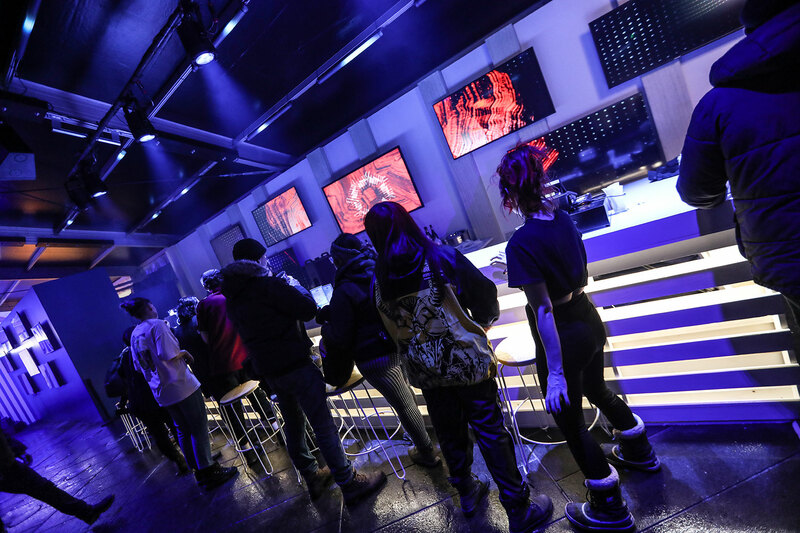 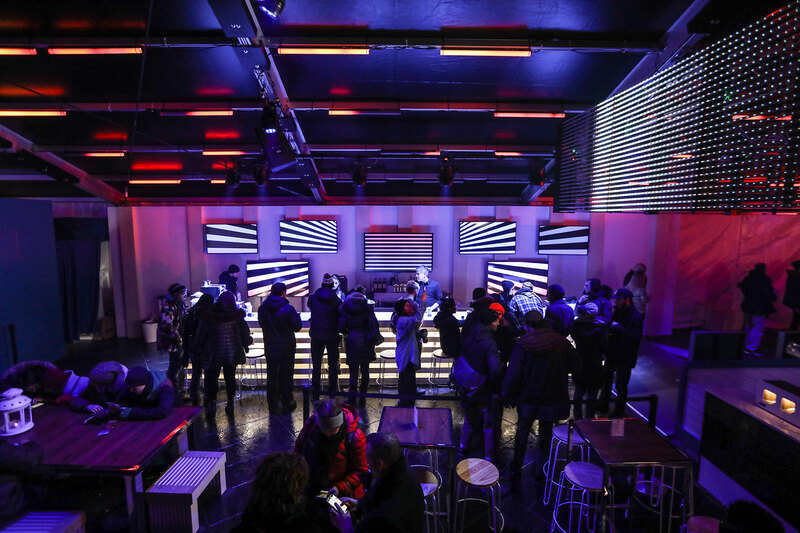 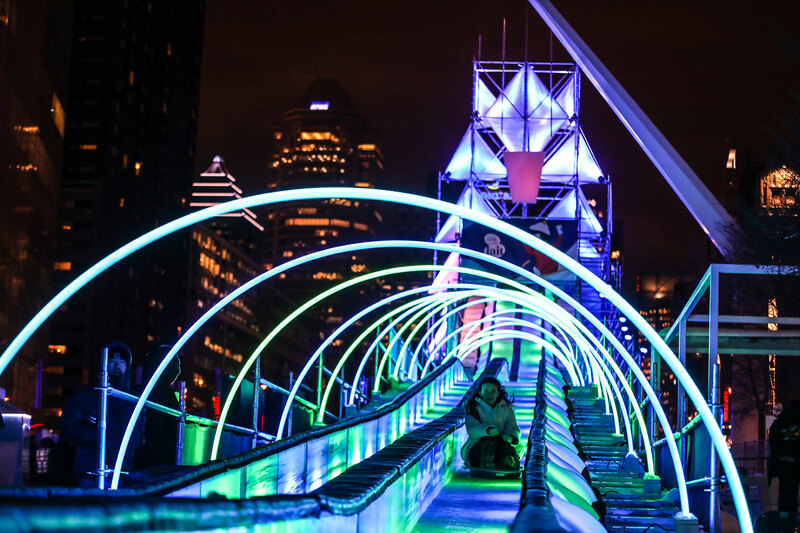 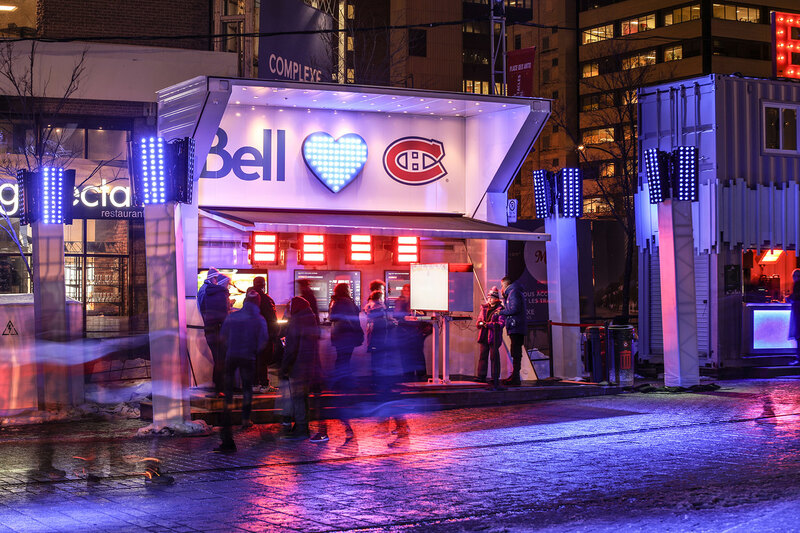 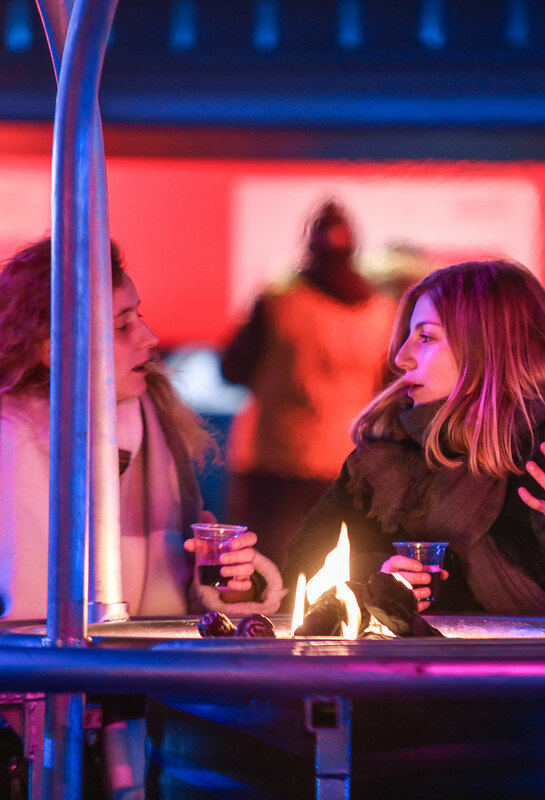 Montréal en Lumière, the 2019 edition, held February 21 to March 3, was once again a premier event for the city and one of the world’s largest winter gatherings and experiential marketing opportunities. 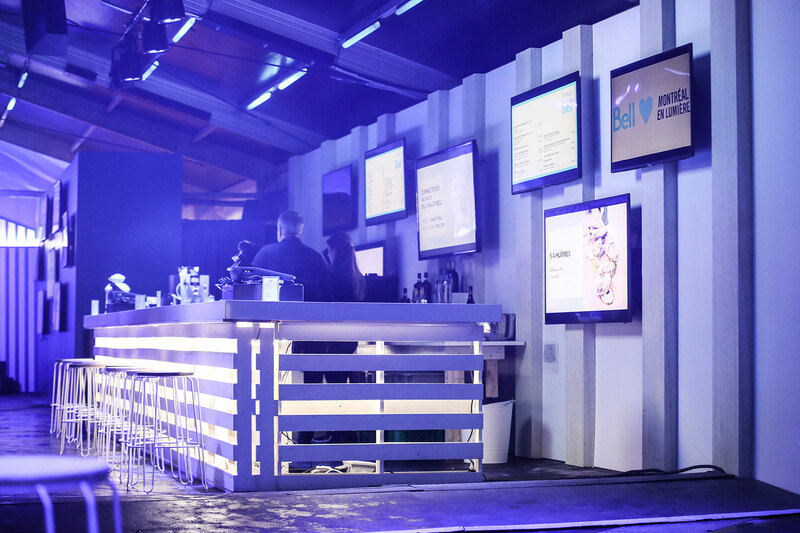 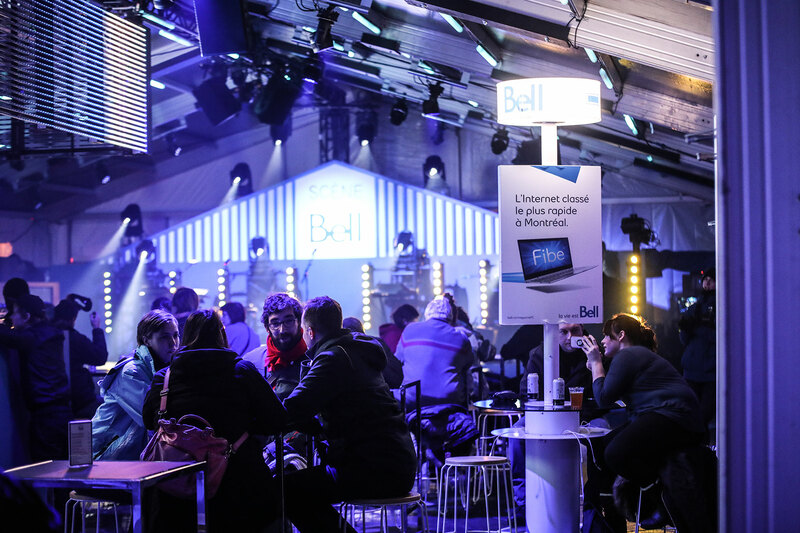 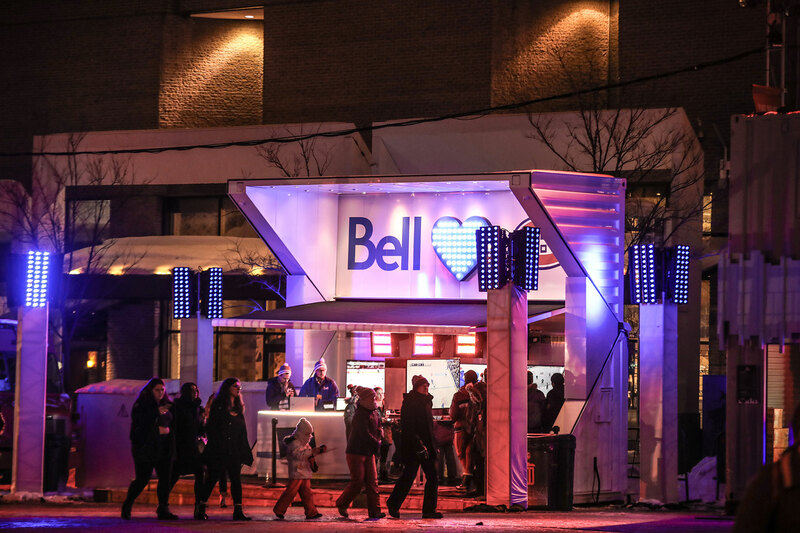 Bell continues to be a major sponsor and was present everywhere on the festival site, with Loki Box Design providing marketing activation kiosks and pop-up booths for multiple activities. 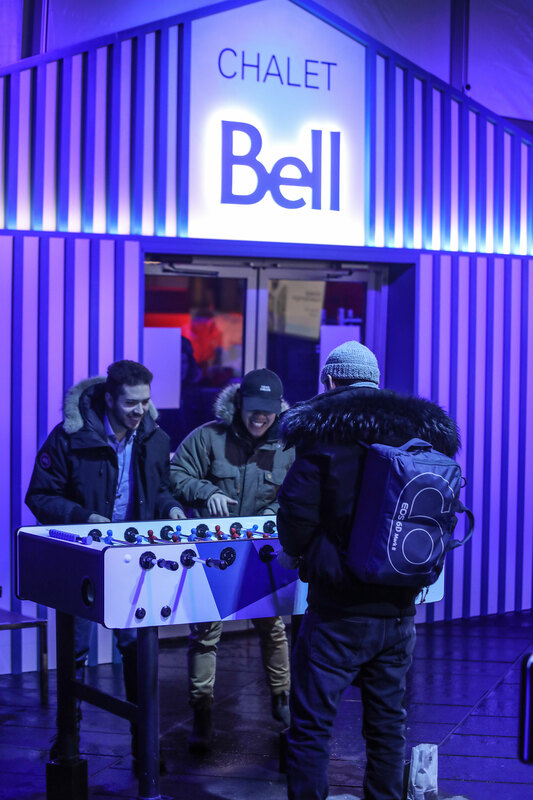 The pop-up Bell Chalet, a large central gathering pavilion complete with games, bars and big screen TVs, continues to be a popular festival fixture and focal point year after year. 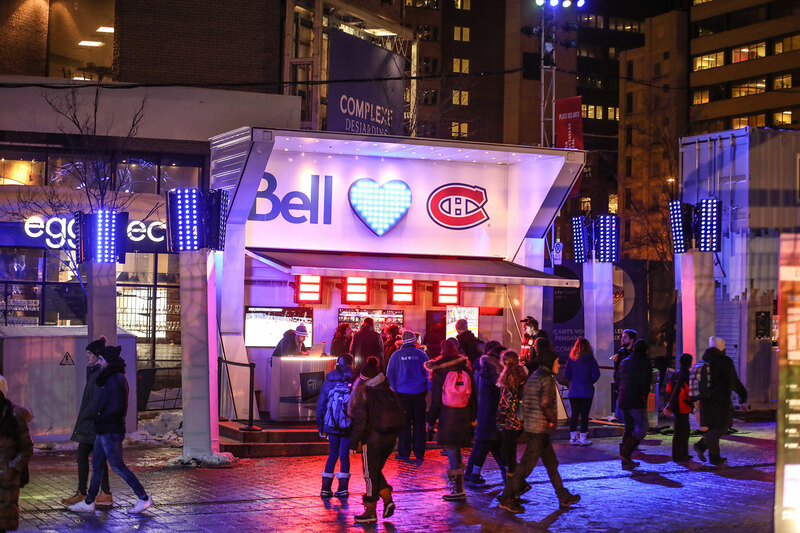 Bell also deploys a Loki Box Design Split 20 unit, with its unique diagonal hinge structure and full 16-foot display height, as an attractive satellite pop-up container booth where visitors could play a Montreal Canadiens video game. 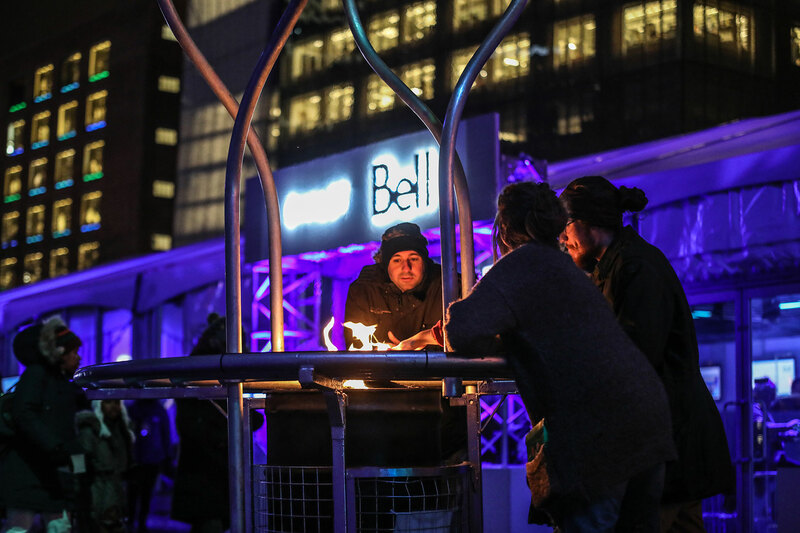 Other festival amenities made possible by Bell include an exterior slide, a very welcome fire pit and phone recharging stations. 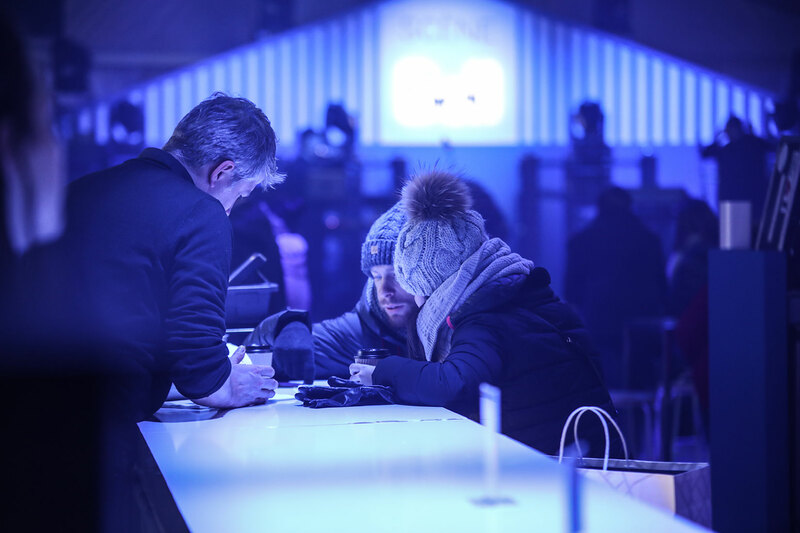 The festival is wonderful venue for experiential marketers to deploy innovative mobile structures, create interactive marketing experiences and reach audiences at a deeply immersive level. 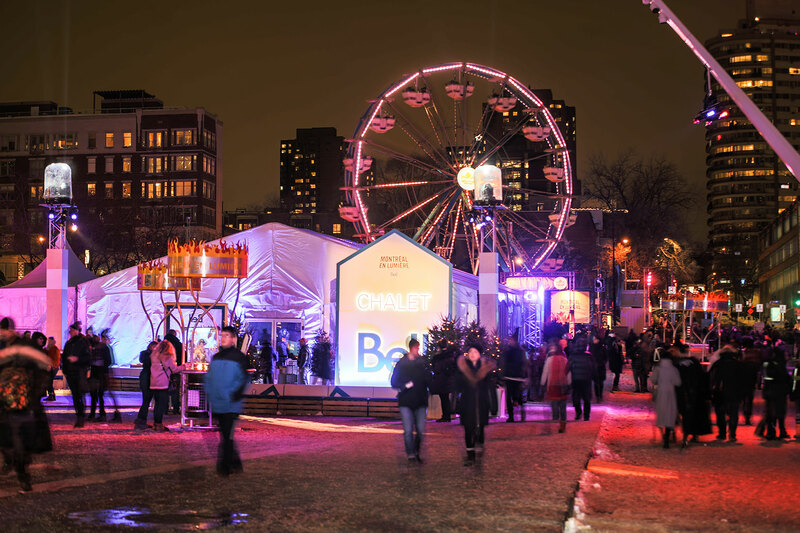 Fans come to experience the joy of Montreal in mid-winter through this unique line-up of performances, gastronomy, free interactive family fun and plenty of surprise discoveries in what has become a very large but still community-oriented event. 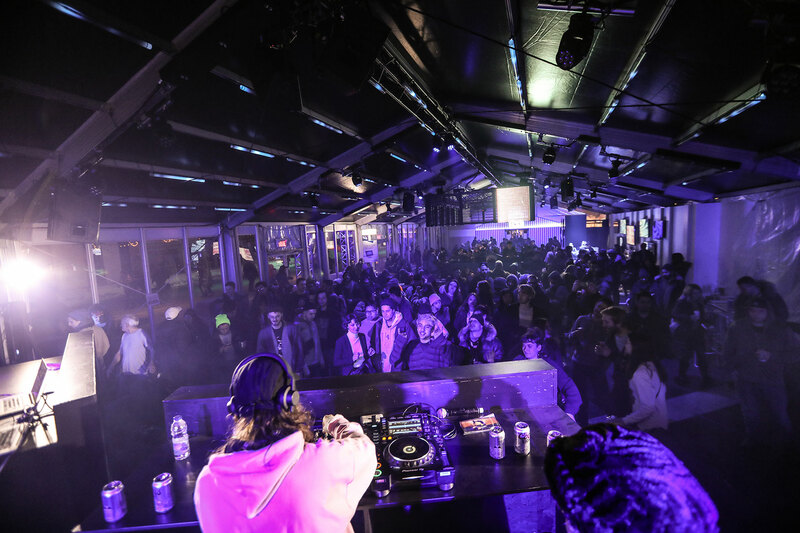 Loki is proud to be part of the booth design and a creative force behind the over-all marketing environment, which has succeeded in accommodating bigger and bigger crowds every year while giving individual festivalgoers an enhanced experience.